Articles 4: An IRMA Company? Articles 10: Why First Chinese Jets for IRMA Kits? We have all seen them, those kits that look questionable with the second-rate resin, poor detail, and overly thick or too brittle material. Unfortunately it is becoming more common in the resin industry to "pirate" a good quality kit for quick money. And it is not fair to the original resin castor who took the time to sculpt or carve the master-which includes scribing the lines, making landing gear and other details from scratch and adding a special touch before putting their name on the box. Of course this article is not refering to those that legitimately purchase the masters, moulds or license their production to others. Our focus is on the resin pirates. Of course there will be legitimate companies and resin kit-makers that choose to do the same subject and even release it at the same time. As long as they've produced their own master, moulds and parts processing, this is not a copied kit. Also, being the first to market with a kit does not confirm copying either. 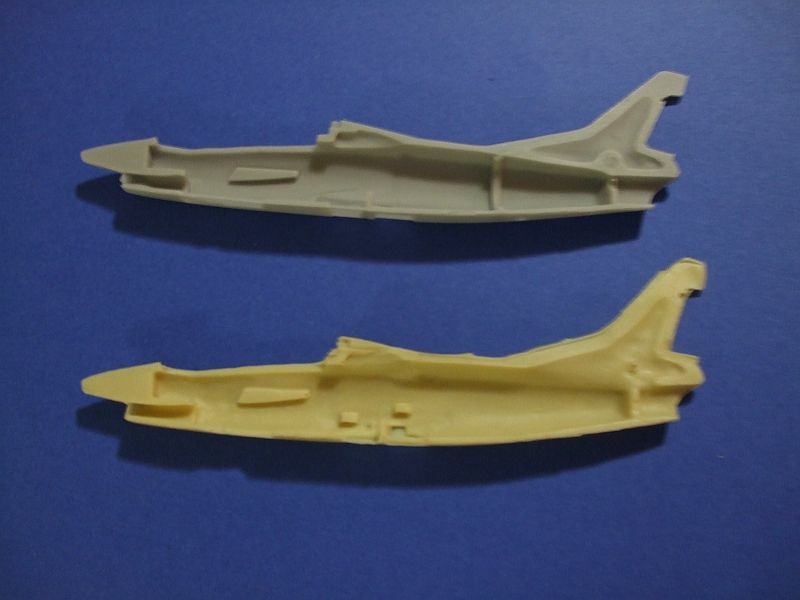 For instance, the example for this article, the Fiat G.91 in 1/72, is one of the most produced kits in the world by many companies and resin kit-makers. 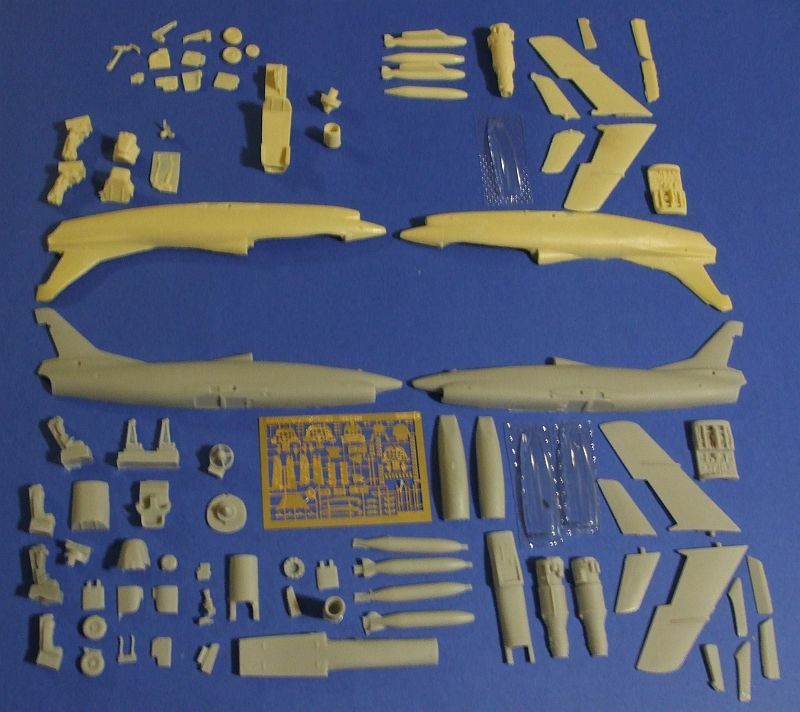 A legitimate kit will look different in the way the parts are moulded, divided up, number of parts and minor and major details. 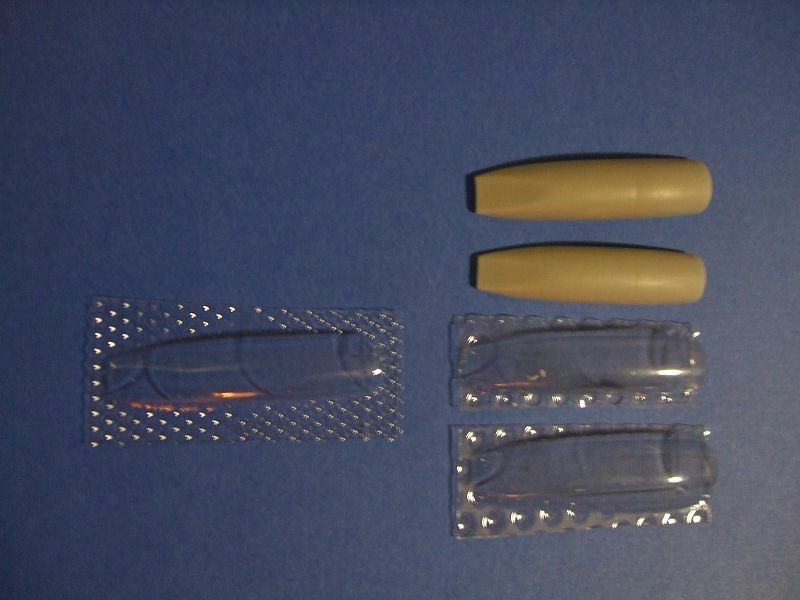 Copies kits are obvious and often skip the production process in many aspects. For those that are legitimate kits, these come to the market as follows. This production process usually begins by acquiring good quality three-view drawings, photographs, written dimensions and any other data the kit maker can find for their subject. Next comes calculating and converting the measurements to the desired scale, then hours and hours of endless sculpting or carving, corrections, and revisions to ensure a good quality, reputable kit. Next comes making the mould by cutting up the master to fit in various ways, building a casting box, mixing the mould compound, waiting for it to cure, removing the master, mixing the resin, then casting as many kits as desired for a run. All of this is very time consuming and costly to the kit maker. There is also pride in the work, reputation of the company or individual and making back the investment. Imagine doing all of this and then a second- or third-rate hack comes along and produces a cheap copy of your kit! This lazy lout does not bother with research, measurements, and sculpting, refining or even good box art. They simply take the original parts, recast them with a cheap compound, re-box them, perhaps add different decals, then market the kit as their own. Some are so arrogant they even threaten legal action when they are afraid the truth will come out. Kit pirates are an insult to the industry. In addition there are copyright laws in the U.S.A., E.U., N.A.F.T.A and most nations belonging to the United Nations, which observes the International Copyright Convention. Of course for a one-time, personal use these laws may not apply. So while it is permissible, in most cases, to make parts or kits for yourself, it is not acceptable to pirate a kit commercially and in fact, it is illegal. Most kit pirates are in the resin industry because most resin makers are small-scale, one- or two-person operations without the money to pursue legal action. The pirates rely on this to continue to market their second-rate junk. However, recently, more kit makers are pursuing legal action. We at IRMA highly encourage resin manufacturers to do so if and when they can. In fact, we would encourage formation of some kind of organization to pursue legal action for kit makers as a group. Hmmmm . . . perhaps through IRMA? Any lawyers in our group that would like to help at an economical cost? In an effort to reduce kit pirating, if any kit-producers can verify that certain kits are copies, IRMA does reserve the right not to list these companies and to remove those that are listed. However, we would need at least two legitimate sources to consider such actions. And no actions will be taken if the kit is legally licensed or the copy is consented to by the original maker. Well, now, how do you spot a pirated kit? Here are some tips. 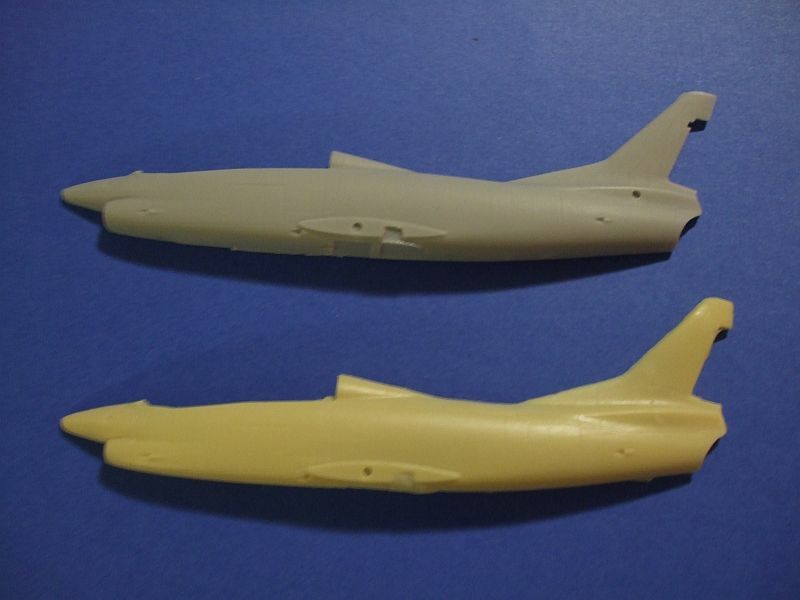 For our example we compared two versions of the Fiat G.91 in 1/72. 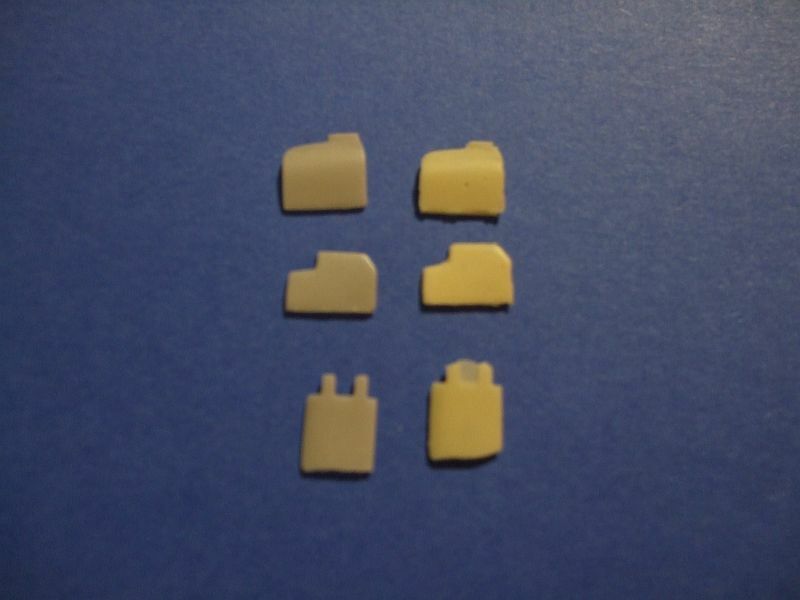 The original kit is in a high quality, non-oil, gray resin. 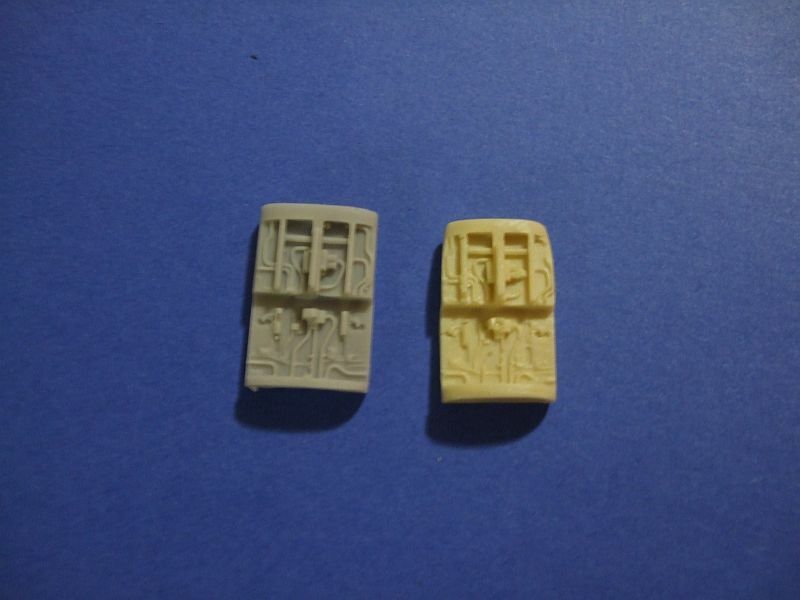 The second-rate kit is in a lighter, almost white, oily resin and definitely appears to be copied directly from the original. 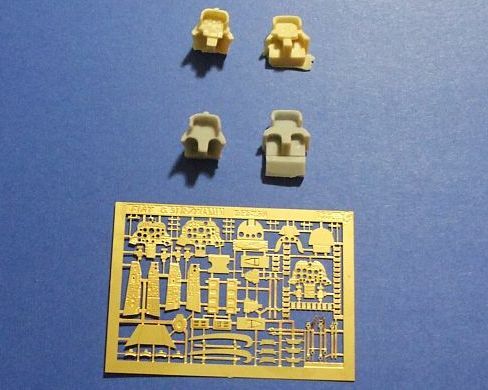 First of all, when comparing the two kits overall the original kit has many more parts with many more details, including photo-etched parts, two solid canopies and two transparent ones, and well defined, scribed lines with high quality detail. 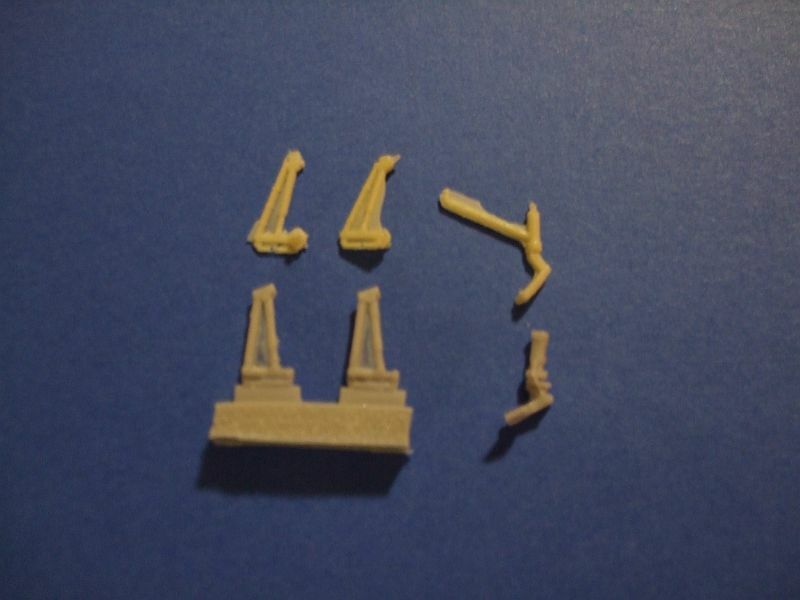 The secondary kit has less parts, sloppy, jagged edges and barely discernable details. Comparing the outer fuselage note the sharpness of the original kit (top) with the rough, hewn appearance of the other. 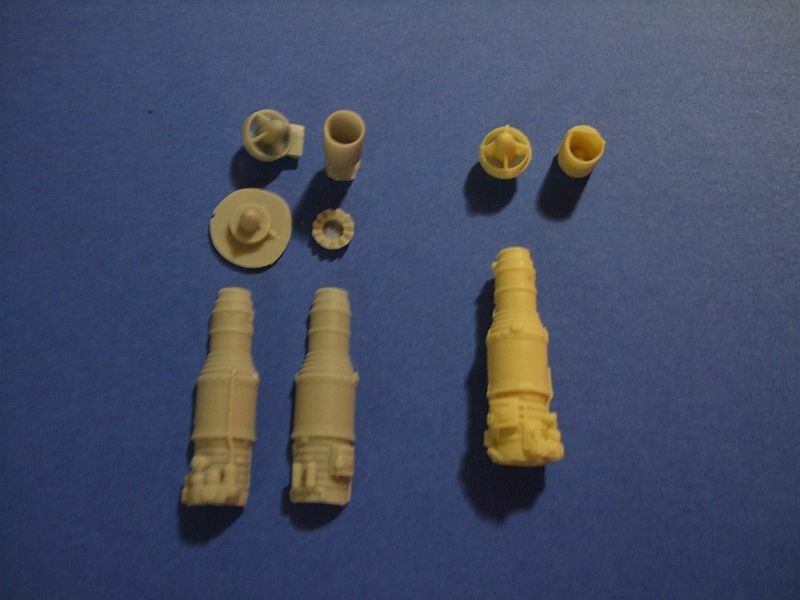 Upon looking at the interior the secondary kit (bottom) has identical details, even down to the landing gear boxes. The main difference is the blurry and crude quality of the second kit. 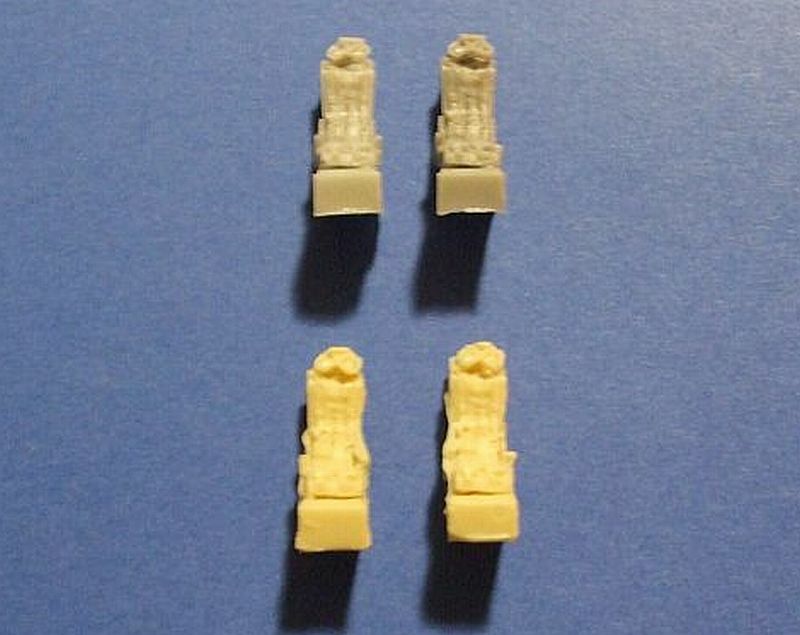 Examining the seats for the pilots, notice how sharp and clear the original kit is (again top) compared to the other. On the poor quality kit the rings at the top of the seats are in the exact same position as the authentic kit. Additionally the seat belts lay the same way too. Definite signs of a possible copy. Looking at the engine, note the exact duplication of details from the real kit (top) with the cheap one. The only difference is that the questionable kit has the engine cylinder molded in one piece. 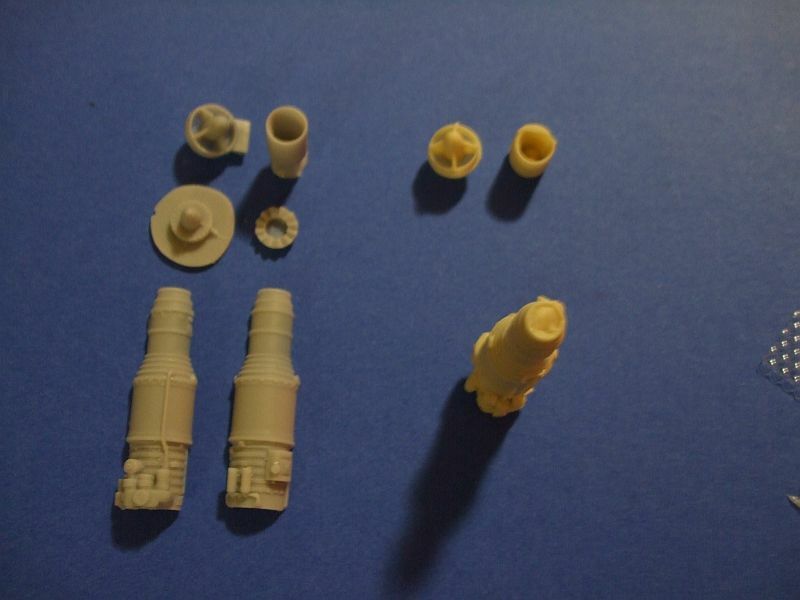 The original kit contains at least six parts for the engine to enhance the detail. 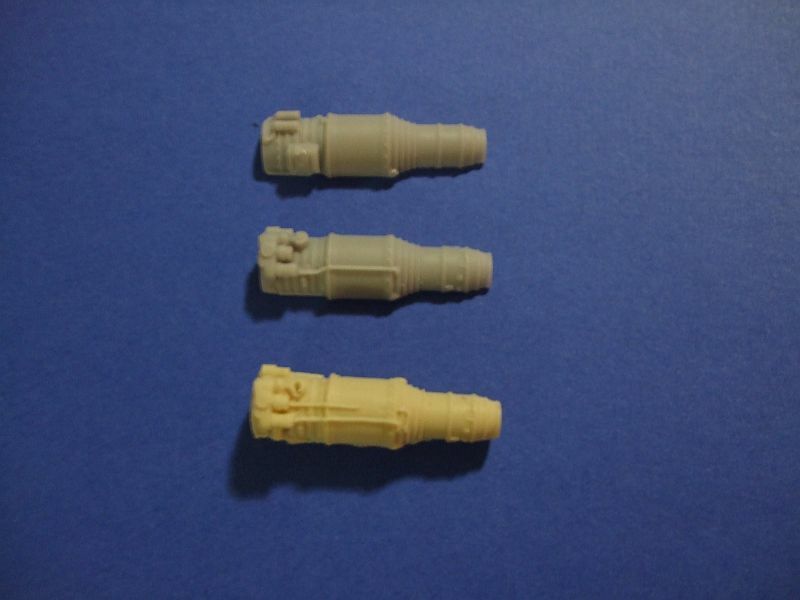 The low-caliber engine has three parts with each end being very sloppy quality. 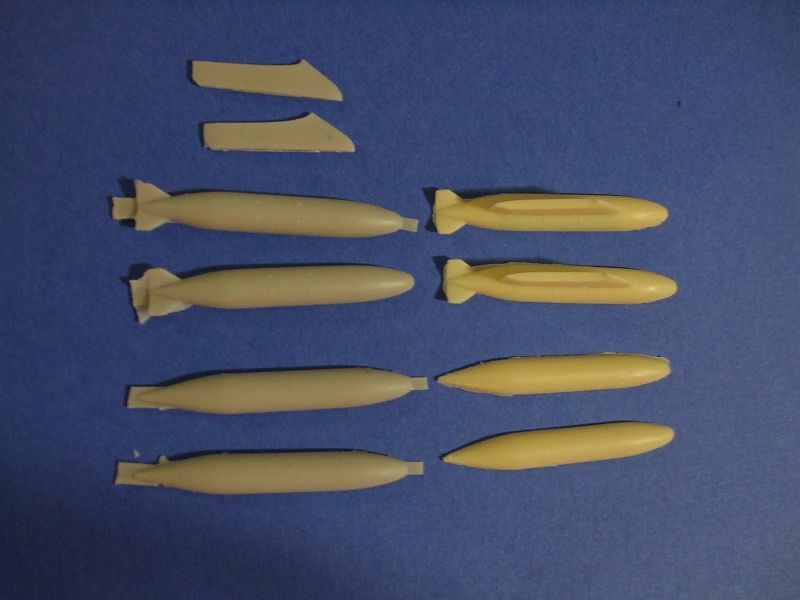 We find the same techniques again in the drop tanks with the authentic kit being done with three pieces per tank, again to enhance the detail, while the inferior kit has them assembled for molding, again with poor detail. 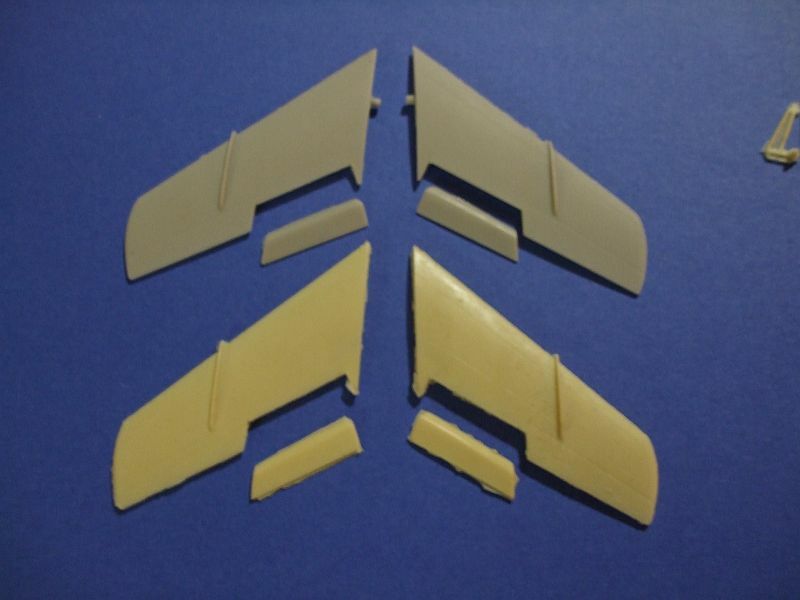 Moving on to the wings, the first kit has a high quality of detail, with fine lines and smooth edges. The lesser kit, again, has jagged edges with poor quality. Both have the same cut for the inner wing and aerolons. And on the bottom side, the cut is exactly the same on the inside of the wing, again signifying a possible pirate. Returning to the cockpit detail, note the screens are cast the same, except that the original has photo-etched details while the second-rate kit appears to be molded with the details glued in place. 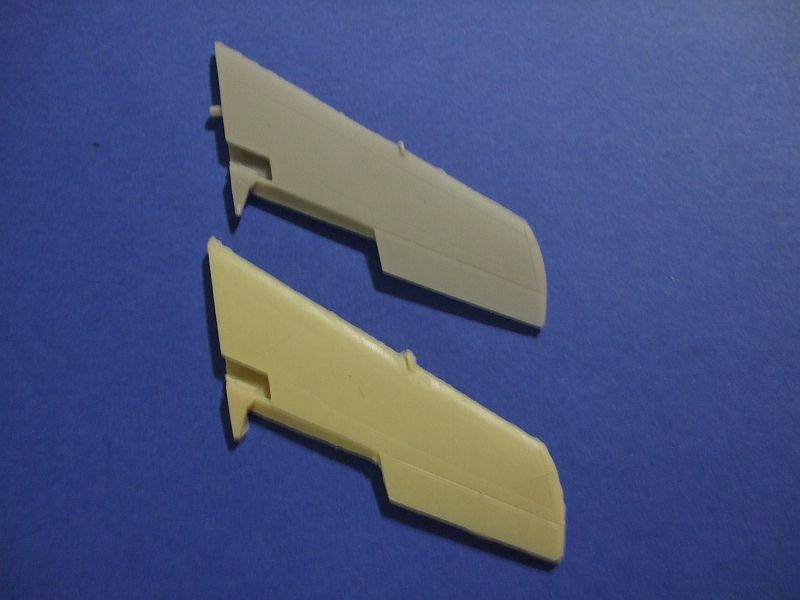 In addition, the canopies appear to be identical with the exception of lack of quality for the secondary kit. This also extends to the landing gear detail. 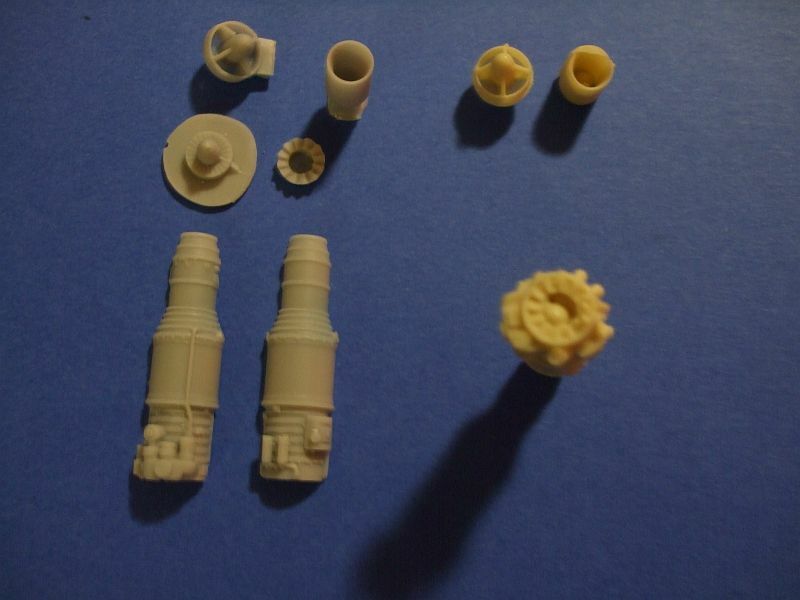 Even the wheels, when compared, appear copied with the main difference being the detail of the original kit and lack of detail on the lesser one. Landing gear interior boxes and doors also compare the same. The real kit has much better detail with the second kit being virtually identical, even down to the wiring and inside of the doors, but with very poor detail and quality. In conclusion, the International Resin Modellers Association would like to advocate our members and visitors not to encourage kit piracy. You can do this by spotting kits that are of such poor quality based on the preceding criteria and not purchasing them and even to report them to the original kit maker. For those in the industry, times may be hard, research, carving and sculpting can be time consuming, but there is really no excuse for pirating a kit. It just does more harm than good and in the end everyone loses-the pirate because the junk-kit is easy to spot and the customer because they usually pay a high price for poor quality. If you do choose to pirate a kit, please don’t complain about the consequences when you get caught. 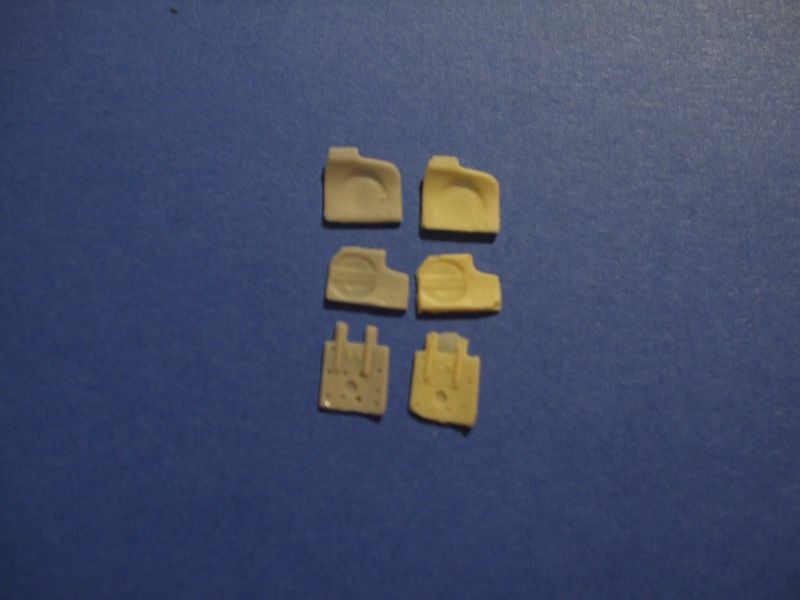 In an effort to combat piracy the International Resin Modellers Association will be offering the IRMA Seal of Authenticity for those manufacturers coming up with an original kit from their own time, efforts and expense. We will encourage our members to look for this seal when purchasing kits that are listed on this web site. No one who is a copycat will be listed or allowed to use this seal. And if we catch anyone using it illegally, we DO have the time, effort and financing to pursue it, and we will. It will also be noted on the site who has legitimate use or not. So, when purchasing your next kit, please consider whether it looks original or copied. If the price is extravagant with low to poor quality, chances are you are being ripped off as a consumer. 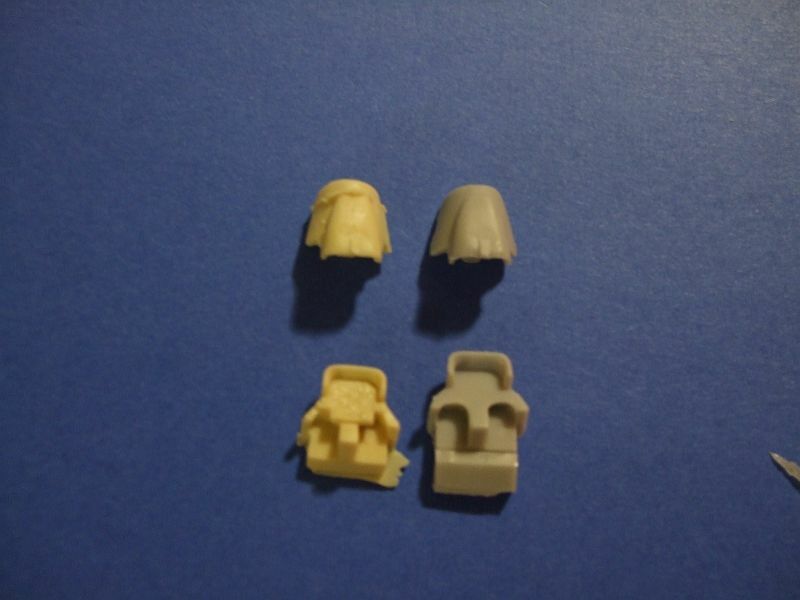 Be patient, you can find that kit in a good quality from a reputable maker. Copyright International Resin Modellers Association©SM®TM. I.R.M.A. (IRMA) ©SM®TM. All rights reserved. ﻿﻿All images on this site are copyright protected internationally. All unauthorized use is tracked and filed. You may use images wtih permission and proper credit given to the site, manufacturer and model builder. Please do not use images without permission. ﻿Any advice, suggestions, methods or recommendations given on this site are taken solely at the visitors discretion, responsibility and risk. The International Resin Modellers Association©SM®TM and any companies, organizations, individuals or other entities listed on this site or associated therewith are not responsible for any actions taken by visitors to this site. Please be very careful when doing any modelling and always remember: SAFETY FIRST! Happy modelling! Any materials sent to the International Resin Modellers Association© shall remain the property of their respective owners with the understanding that upon receipt of materials, including written, photographic, graphic and any others, permission is granted for their use in any forum and format on this site and includes use by other sites or individuals related to this one. This site is not responsible in any way for misuse or distribution of said materials in or out of its control. This site also reserves the right to edit or format contributed materials for content and context. 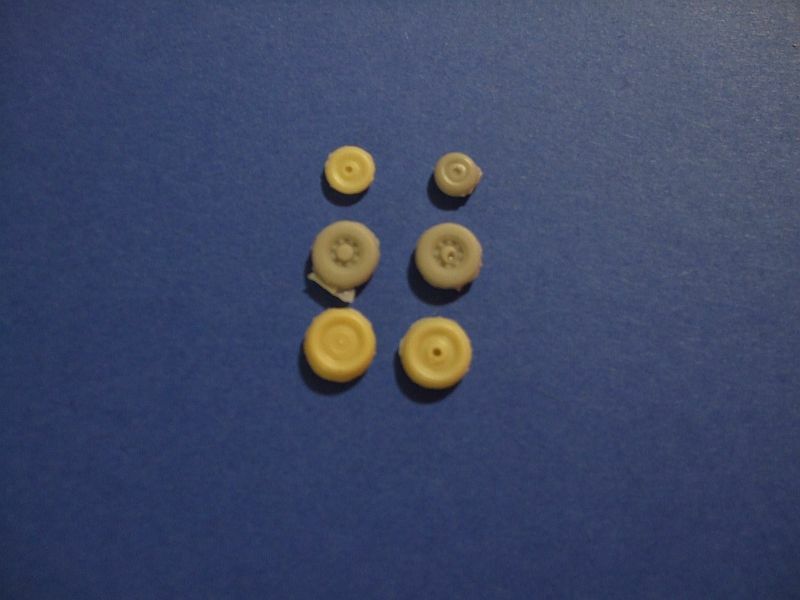 Materials displayed on this site are copyright by the International Resin Modellers Association©. Images on this site not created by the International Resin Modellers Association are believed to be in the public domain. If you own an image, can verify it, and wish it to be removed, please contact us. IRMA reserves the right to change prices for products, services or memberships without prior notice as well as changing site content, format and structure without prior notification. 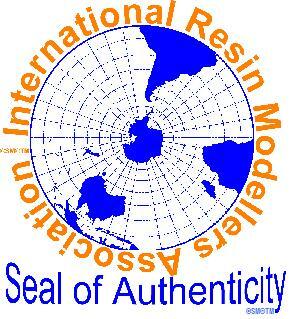 The phrase and name International Resin Modellers Association is registered, copyrighted and trademarked internationally along with the phrase and wording internationalresinmodellers with a .com, .org or any other extension and also includes the logo and any variations (internationalresinmodeller, internationalresinmodelers, internationalresinmodeler and etc. with any and all extensions). Any infrigement, copying or unauthorized use is subject to an indemnity of U.S. $5,000,000 payable to the International Resin Modellers Association©SM®TM or Zane R Nobbs. And all legal expenses (court costs, attorney fees and etc.) and other expenses will be paid by the perpetrator(s) separately and in addition to the aforementioned indemnity.